Khepri – The Turtle Hospital. Rescue, Rehab, Release. 2/28- Khepri, the juvenile green sea turtle was found on a rocky sea cliff on St. Thomas called Coculus Point in Bolongo Bay. He was barely conscious and upside down on the rocks when they found him/her, and was actively bleeding for the next three days. 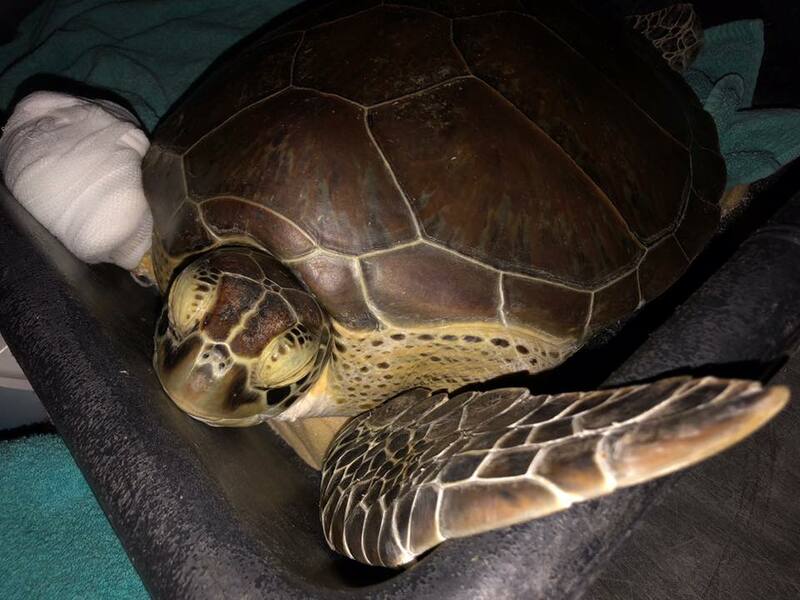 The turtle has a massive traumatic injury on the right front flipper which appeared to be from a predator attack. 3/26- Finally stable enough to be transferred to us from Coral World in St. Thomas.